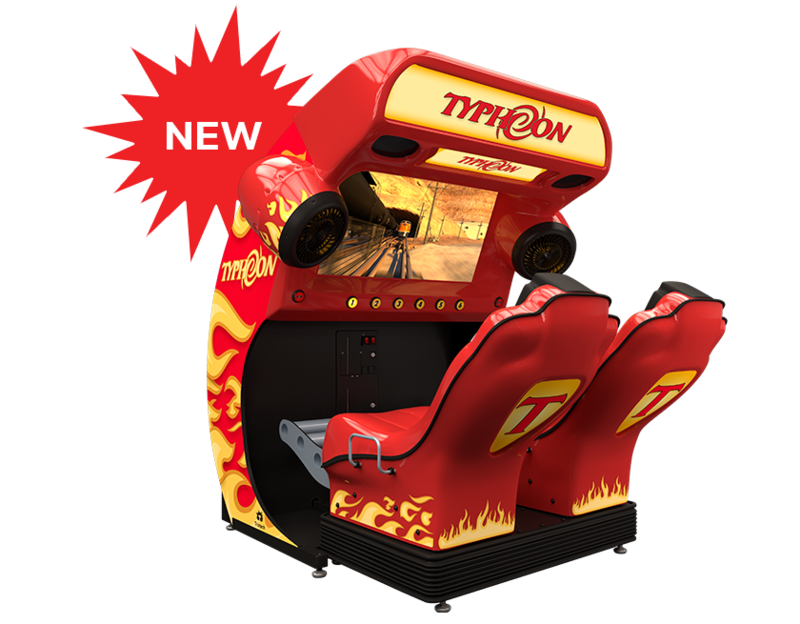 Triotech, creator of award-winning media-based attractions, is releasing a 10th anniversary edition of its successful coin-op simulator Typhoon at IAAPA Attractions Expo in Orlando. The Typhoon was one of the first coin-op simulator to offer an experience to share, featuring two motion seats side by side and a selection of movies with a wide appeal to please all gender and ages. This 10th anniversary edition underlines this unique milestone with a brand-new attractive look, a 4K resolution screen, as well as a new 10-film selection for an exciting immersive experience. “We’re proud to launch Typhoon’s 10th anniversary edition. This product continues to be on the top of the chart for earnings. It has become a reference in the industry for coin-op simulator rides”, declared Gabi Salabi, Chief Commercial Officer of Triotech. Triotech’s Typhoons are installed all over the world in more than 1 800 arcades, family entertainment centers, bowling centers, shopping malls and other indoor amusement parks. Triotech will showcase its Typhoon 10th anniversary edition at their booth (#1578) at IAAPA in Orlando from November 13th to 16th.